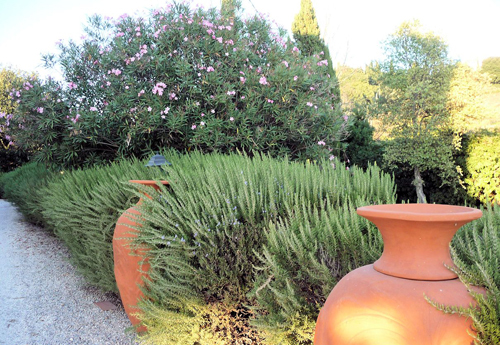 Did you know that many homes in Europe, create large hedges with the plant Rosemary? These are stunningly beautiful with lovely little blue flowers that sprout seasonally. Not only is this herb attractive to look at but the fragrance is outstanding. Anyone who has ever cooked with this herb can attest to that fact. You can see them growing directly in the soil and forming large to huge walls of green or they maybe shooting out of large ceramic containers that are lined up in a row to create a wall of plants. Either way they are easy to grow, fun to harvest, yummy to cook with and great to look at. If planting directly into soil, make sure that it is in direct sunlight. These plants love the sun and will grow hardy and strong is planted this way. It may take a few years to get a generous sized hedge but rosemary is considered a very fast growing plant. After a few years you should have plants that are 4 to 5 feet tall with a stem approx. 1" in diameter. Once they reach this stage it is perfectly normal to harvest bit's and piece's off the plants to use in making recipes, bottled herb-infused oil and vinegar, home-made breads, garden gifts and much more. The upswing of harvesting these plants are that the more you pick them the thicker and more lush the plants grows. 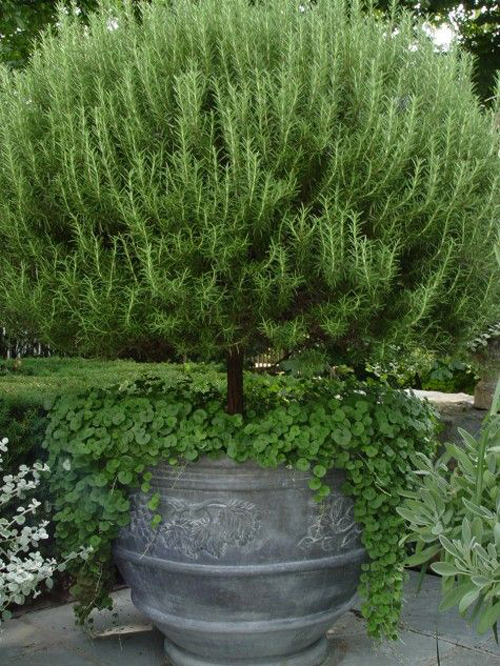 Lately, we have seen a rise in home cooks keeping pots of rosemary around the home. The plants are lovely in color and the fragrance is pleasing. You don't necessarily have to cook with them to enjoy them. 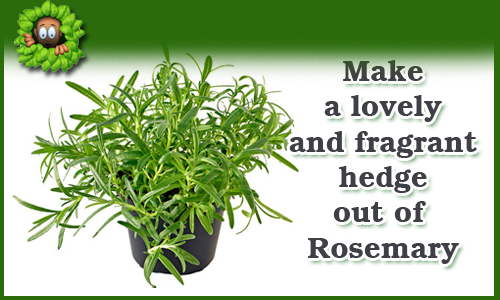 We would like to add that the root systems of rosemary plants that are sowed directly into the ground, will spread. This helps to create a dense hedge but may also spread to areas that you do not choose to have them grow. Our recommendation is to grow them in large garden planters. You can then line the planters up in a row and create a hedge that is useful. The garden pots will contain the spreading root system and keep the plants growing only where you want them to. 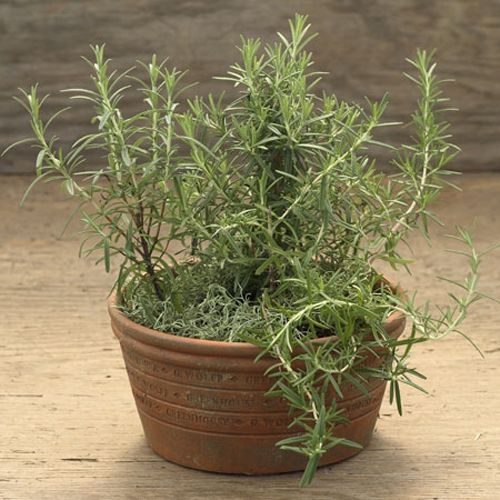 Rosemary has needle like, dark green leaves that are highly aromatic and are prized for their perfume as well as their culinary and medicinal uses. It prefers a sunny site as stated above, and thrives in poor soils that are well draining. It rarely grows over 5 feet tall. It loves to be pruned. Read more..... Growing "Chili Peppers" in garden pots. Read more..... Growing hydranges into bloom.